Click here to download the Term 1 Calendar for 2019. 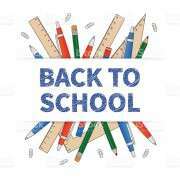 Students return to school on Monday, February 4th (with the exception of Years 10-11 who attend school from 9.30-3 on Friday 1st February). The school day starts at 8.50am with a quick roll call, then Assembly in the Hall. Students in Years 1-6 should report to the homeroom indicated in their end of year report. If you can't remember which room that is, check with the main office. Years 7 and 8 to Room 16. Year 9 to the Graphics Room. Years 10/11 to the Art Room. Year 12 to the Science Lab. Year 13 to the Social Sciences Room. New students should report to the main office. Timetables will be distributed on the first day back, but you should be able to check them on the Kamar app and Portal from the 21st January onwards. There are no upcoming Events listed. Please contact the School Office.